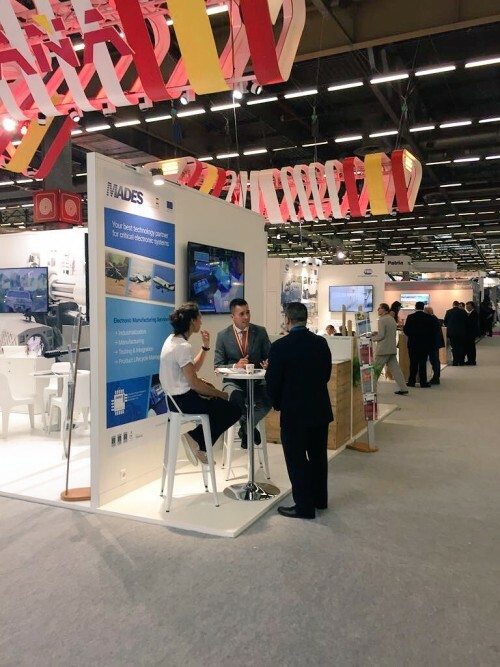 From June 11 to 15, MADES was exhibiting at Eurosatory 2018, one of the main events of the international land and airland Defence and Security Industry. This year, we assisted to this huge event updating our expanding capabilities in Electronic Manufacturing Services, including Development, Industrialization, Test, Integration and lifecycle support of complex electronic systems for aerospace and defense applications mainly. MADES was located under the Spanish Pavilion which was supported by ICEX and European Regional Development Funds.